Greg Gladden Attorney at Law is a board certified criminal defense lawyer who has represented over 2,500 clients in federal and state criminal trials across 14 different states. His law firm represents clients charged with a crime throughout the Houston metropolitan area and across Texas. Mr. Gladden has over 35 years of criminal defense experience and works to get every client the best possible outcome for his or her case. He has received many recognitions over his long career, including the American Jurisprudence Excellency in Constitutional Law and Evidence Award and the Patrick Wiseman Award from the State Bar of Texas. Mr. Gladden has an extensive knowledge of federal civil forfeitures and has taught educational seminars on sponsored by national, state and local criminal law organizations. Greg Gladden Attorney at Law has defended many high-profile clients and worked to get them favorable outcomes. He won a life sentence for Roger Leroy “Animal” Degarmo who threatened to kill the jurors and their families if they did not sentence him to death. Mr. Gladden has a 97 percent not guilty verdict rate for DWI jury trials and has never lost a client to the executioners. 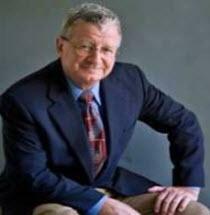 Many people consider Mr. Gladden both a seasoned criminal defense attorney and a practiced civil rights lawyer. He fights to protect his client’s civil rights in the course of a criminal case and has a thorough knowledge of state and federal law. For seven years he was the president of the ACLU of Texas and is a current member. Mr. Gladden prefers talking in person with his clients in a free consultation. In the first meeting, he reviews his clients’ cases and answers their questions. His Houston office is in the shadow of downtown and has Spanish translation services available for clients. Hablamos Español.